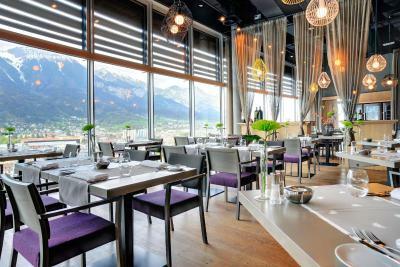 Lock in a great price for aDLERS Hotel Innsbruck – rated 8.9 by recent guests! Location and very helpful staff, view was outstanding. Location was great.Staff was wonderful,The outlay of my room was so practical and also spacious..Had only coffee in the restaurant but would consider having dinner one day. 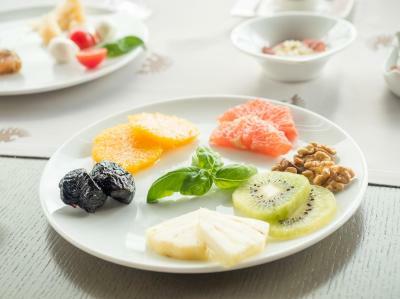 I also liked the amenities,,I travel a lot and this is one of the nicest hotels I have ever stayed in,.It is little bit pricey for my travel budget but it is worth it,.Thanks. great place in a central location. clean contemporary rooms with a nice view. didnt have much staff interaction due to my short stay, but the ones i talked to were very friendly, quick, competent and forthcoming. Dog friendly, great view from the room and amazing rooftop bar. The view is amazing, from room, sauna and restaurant. Room is very modern, and clean. 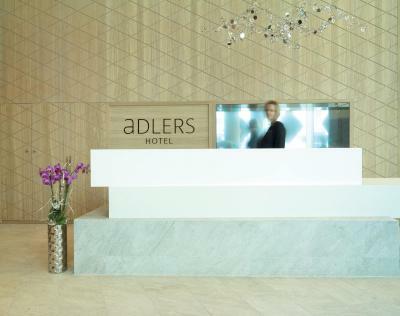 aDLERS Hotel Innsbruck This rating is a reflection of how the property compares to the industry standard when it comes to price, facilities and services available. It's based on a self-evaluation by the property. Use this rating to help choose your stay! 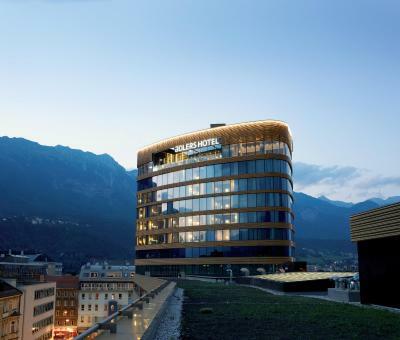 Opened on 21 June 2013, the aDLERS Hotel is the tallest hotel in Innsbruck and offers panoramic views of the city and the Tyrolean Alps from the rooms, the restaurant, the spa area, and the rooftop terrace. Free WiFi is available. The spa area is located on the 11th floor and features a Finnish sauna, bio sauna with mountain views, a steam bath, and an infrared cabin. Massages are available at an additional cost. 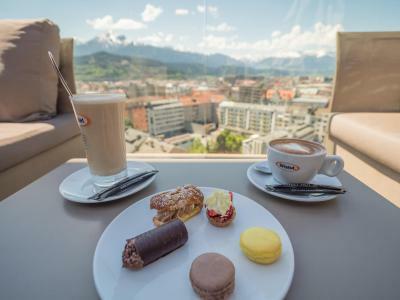 Located between the 7th and the 11th floors of aDLERS Hotel, the air-conditioned rooms are designed in an urban Alpine style. Each room features a flat-screen satellite TV, a mini-bar and a high quality parquet floor. 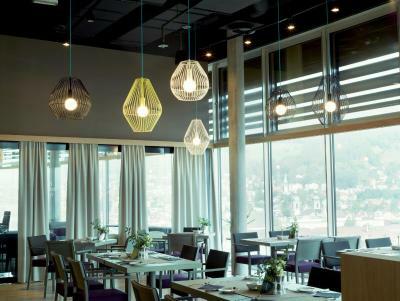 The Panorama Bar and Restaurant on the 12th floor serves international and Austrian cuisine. 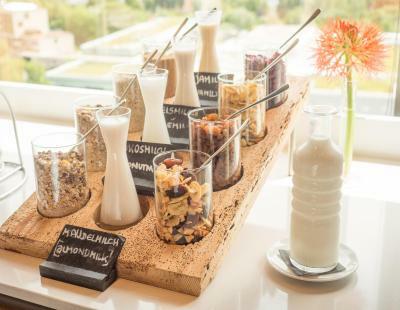 Special menus can be requested as well. The aDLERS is a 5-minute walk from the historic city center, and Innsbruck Main Station is just 150 feet away. A ski bus stop is right outside, and the closest ski area can be reached in 15 minutes. Limited public parking is offered on site at an additional cost. 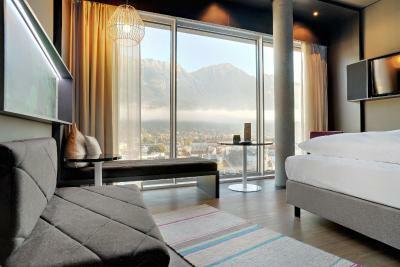 When would you like to stay at aDLERS Hotel Innsbruck? Providing panoramic views, this stylish room features air conditioning, free Wi-Fi, a flat-screen satellite TV, and a minibar. A private bathroom features a walk-in shower and bathrobes. Offering panoramic views, this large and stylish room with a reading corner with a sofa bed features air-conditioning, free WiFi, a flat-screen satellite TV, and a mini-bar. A private bathroom is fitted with a walk-in shower and bathrobes. 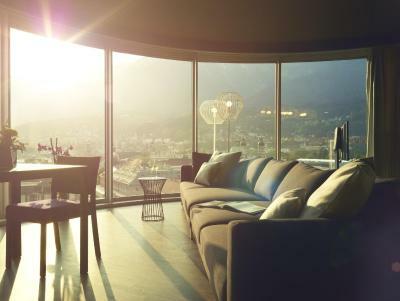 Featuring 180-degree views of Innsbruck and the surrounding mountains, this large and stylish room features air conditioning, free Wi-Fi, a flat-screen satellite TV, and a minibar. The bathroom comes with a walk-in shower or a bathtub, bathrobes and provides panoramic views. Offering panoramic views and a living area with a sofa, this very spacious and luxurious suite features air conditioning, 1 bedroom, 1 bathrooms, a dressing room, bathrobes, a living area with a bar and a dining area, free WiFi, a flat-screen satellite TV, and a mini-bar. A connected room including a bathroom can be booked on request. This alpine-style suite has a separated living and sleeping area and offers beautiful views, a large seating area, a flat-screen TV, a mini-bar, air conditioning and a bathroom with bath tub and shower, hairdryer and bathrobes. 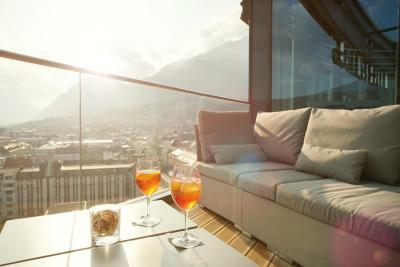 House Rules aDLERS Hotel Innsbruck takes special requests – add in the next step! One child from 0 to 4 years is charged EUR 15 per night in a crib. 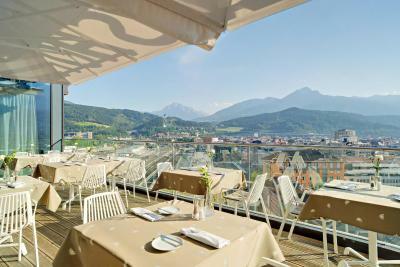 aDLERS Hotel Innsbruck accepts these cards and reserves the right to temporarily hold an amount prior to arrival. Please note that the credit card will be pre-authorized after reservation. The room was too hot, AC seemed not to work. The room and bar were very good, the view was amazing. The view was incredible from the bedroom, all windows and the bar terrace. The decoration and more importantly all the people from the hotel are creating a very friendly atmosphere. 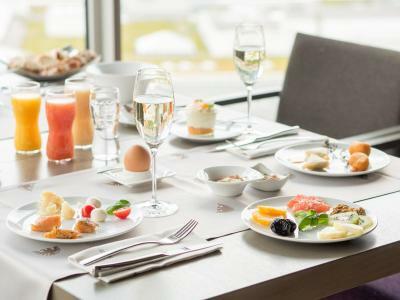 The restaurant was also really nice and is a perfect option if you feel staying in the hotel. 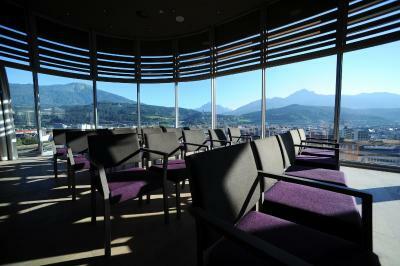 We’ll be back with pleasure if we come back to Innsbruck. Location. Interior. Reataraunt and bar. View. Great location, beautiful view, great facilities. Nicol was excellent in the Breakfast area. She took great care of our little one. Super service. Keep it up! Noisy.. Breakfast is v expensive..
Got a very expensive rate unfortunately. 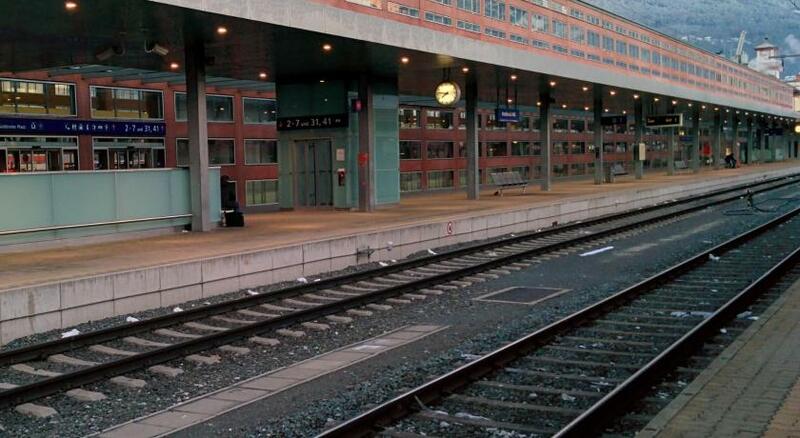 Great location - walking distance to the Old Town and train station. The hotel has an amazing roof top bar and restaurant! only a small thing, but there was only 1 regular coffee packet and 2 decaf. there was no milk. The noise at night and early morning from the train. That part was missing from your info about the hotel. I liked the location and the lovely stuff at the front desk. The bathroom amenities. There is no hair conditioner, just 2 x 1 (soap and shampoo). For women with long hair this is not good. Beautiful view with very good space, bathroom. Location was excellent and view from room very nice.